IMSI-catcher (International Mobile Subscriber Identity-catcher) is an eavesdropping device which intercepts mobile phone data (phonecalls, location, etc.). Active Cellular devices are used for various nefarious activities including terrorism, criminal activity, Search and rescue operations and much more. Prisons all over the world are faced with the problem of hidden cellular phones used by the inmates illegally. Phantom’s Technologies active cellular system, also known as the IMSI Catcher 400, provides the operators with the capability to extract cellular identities in a designated area of interest. 1. Independency from Cellular service Providers – the operator does not need to connect with the Cellular Providers systems. 2. Covert operations – the system can be deployed in a discrete manner allowing the operating forces the much needed covertness. The system’s main purpose is to provide a low cost – high affective active cellular system that enables operators to control the cellular communications. 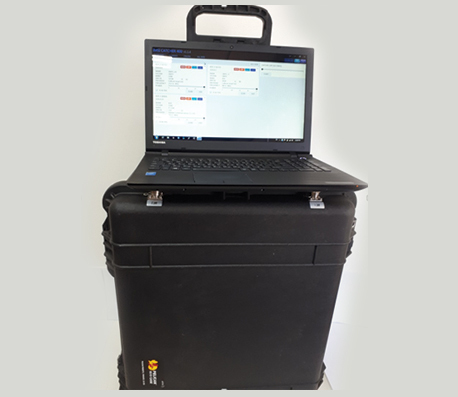 The IMSI400 is our IMSI catcher monitoring system, designed to detect the IMSIs and the IMEIs present and active in the designated area for both 2G and 3G Phones. This capability enables the device’s operators to identify possible threats. The IMSI 400 was specifically designed to provide maximum capacity flexibility as the BTS number can vary from 1 BTS – 8 BTS (8 BTS is the current maximum design) in a single drawer (several drawers can be supplied) as each BTS is Software Defined Radio BTS in the technology in which it is working. This means that once a technology has been chosen, GSM or UMTS, the BTS in the defined technology is SDR. Scalability – the system can easily add features, technologies, BTS’s and more.